Using their natural curiosity and love of animals is a great way to teach children about nature conservation and career opportunities in Environmental Affairs. This is what the Mangaung Environmen¬tal Management unit aims to do through its Climate Change Awareness Campaign. 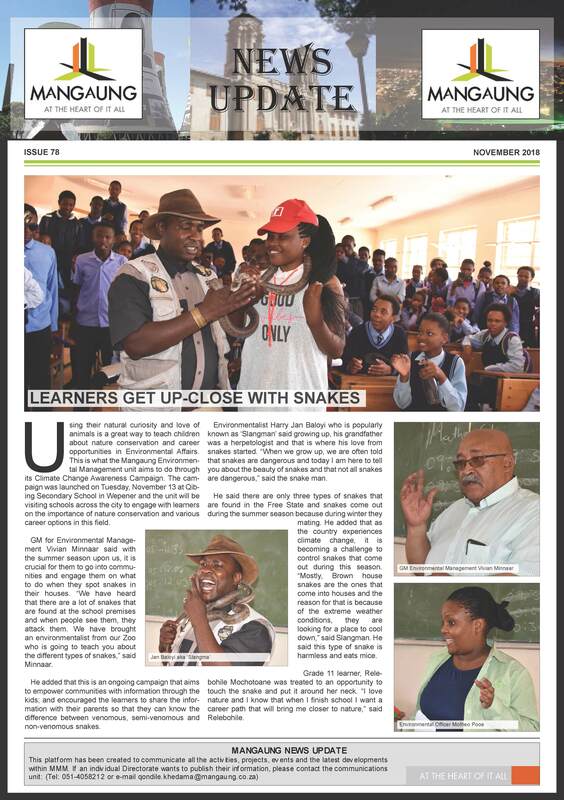 The cam¬paign was launched on Tuesday, November 13 at Qib¬ing Secondary School in Wepener and the unit will be visiting schools across the city to engage with learners on the importance of nature conservation and various career options in this field.